We have a team of qualified BMW service technicians to help keep your vehicle in top shape, whether driving around Chicago or heading out of state. Stop searching for a mechanic for your BMW; we handle it all at the Perillo BMW Service Center: oil changes, tire rotations, brake pads, transmission problems, and more. 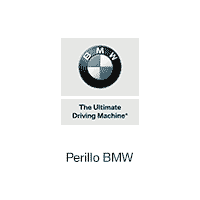 Please use the buttons below to schedule BMW service at Perillo BMW or contact our Service Department. You can also call us at (312) 981-5200. Taking good care of your car is the best way to guarantee that it lives a long and healthy life. Here are some of the most frequently asked questions related to car service. The right answer to this question varies depending on the type of oil you use and the kind of car you drive. Many newer cars will automatically warn you when it’s time to get your oil changed; if yours doesn’t, we recommend checking the Owner’s Manual. The catch-all answer to this is around every 4,000 miles. There are many reasons to have the proper amount of air in your tires, including better fuel economy, handling, and especially improved safety. To find out what your tire pressure should be, check the Owner’s Manual or the tire manufacturer’s website. You can also usually find the correct values on the tires themselves or on the width of the driver’s door. Bring the cars nose to nose but without letting them touch. Find the positive (+) and negative (-) nodes of each battery. Check the Owner’s Manual if you can’t find them or have any doubts as to what you’re looking at. Attach the other end of the red cable to the + node of the dead battery. Attach the black cable to the – node of the good battery. Attach the other end of the black cable to a piece of unpainted metal near the dead battery. Do not attach it to the – node of the dead battery. Start the car with the good battery. Leave it running for a few minutes. Start the car with the dead battery. If successful, disconnect the cables in reverse order. If not but the engine sounds like it’s about to catch, try again in a minute. If the car still doesn’t start, you may need to get a new battery.